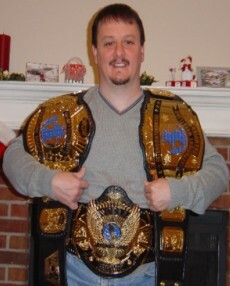 Here are pictures of Chris Page's World Championship title known as the Big Gold. This belt has been modified into a 5 plater and carries a logo plate and tip. The main plate on this belt is HUGE!